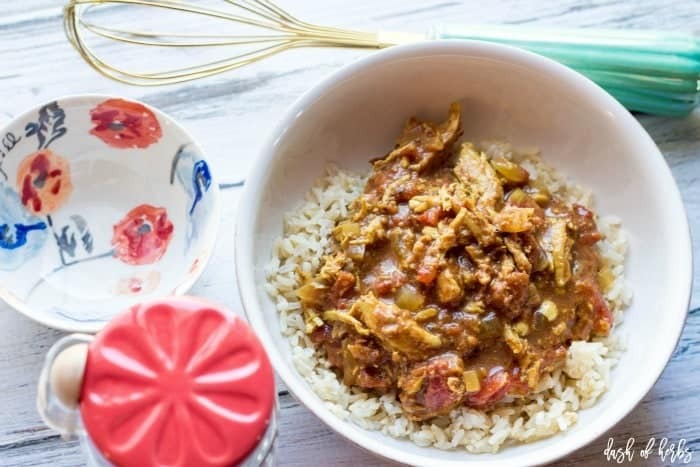 Easy dinners are necessary when you work full time, and this slow cooker spicy tikka chicken masala recipe is perfect to just dump in the slow cooker and let cook. This recipe is filled with flavors and spices that you wouldn’t expect. It’s delicious! I absolutely love Indian food because of the flavors and different spices that are used. 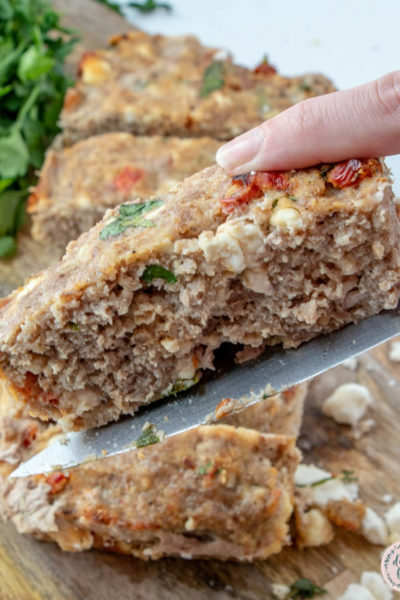 This recipe is so flavorful and amazing because you get to smell it while it cooks…and it smells so good while it’s cooking. For our Valentine’s Day dinner, I wanted something easy that wouldn’t take much time to cook. 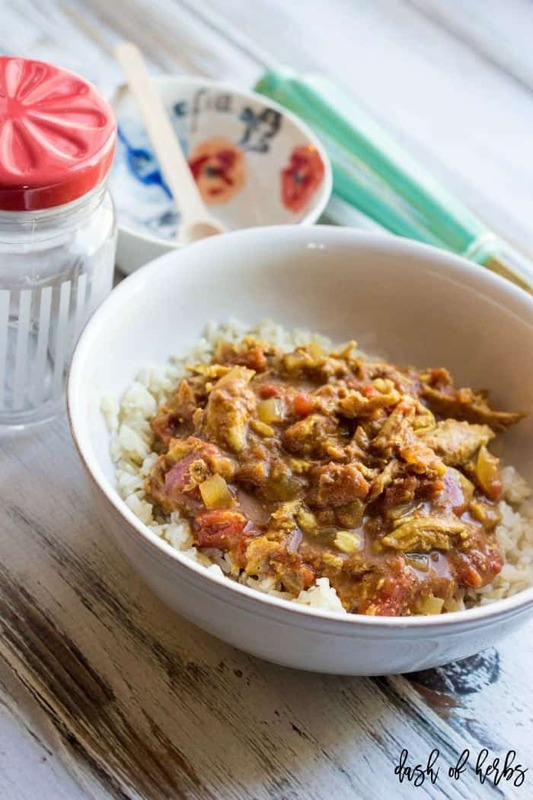 And what better way to celebrate our love than a slow cooker meal? I just threw everything in the slow cooker around lunchtime, and we had a delicious dinner last night. 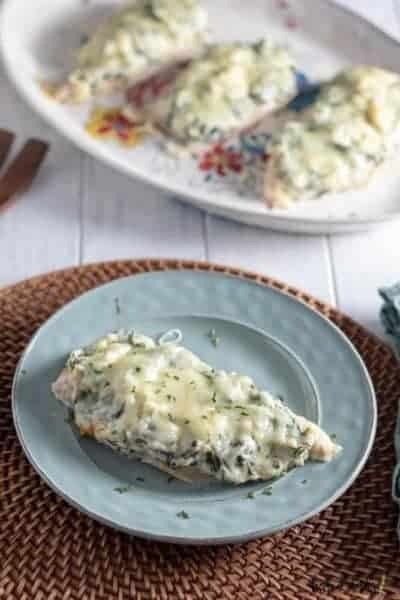 Because this is a slow cooker recipe, I was able to relax and just hang out with my husband on Valentine’s Day, instead of worrying about cooking something. It was perfect. Place the chicken breasts in a prepared slow cooker. In a medium bowl, combine onion, ginger, garlic, tomatoes, tomato paste. Stir. Add the water, and all the spices. Mix together and pour over the chicken in the slow cooker. Cook on high for about 5 hours. Once the chicken is cooked – about 30 minutes left to cook – take the chicken out and shred it. Stir in the coconut milk. Add the chicken back into the slow cooker and finish cooking. Serve immediately. This recipe is 3 SmartPoints per serving, 1 cup of the chicken mixture. Place chicken breasts in an olive oil sprayed slow cooker. In a medium bowl, combine onion, ginger, garlic, tomatoes, tomato paste. Stir. Add the water, and all the spices. Mix together and pour over the chicken in the slow cooker. Cook on high for about 5 hours. Once the chicken is cooked - about 30 minutes left to cook - take the chicken out and shred it. Stir in the coconut milk. You can serve this with rice, but please know that will affect the SmartPoints value. Thank you! I love that it’s a slow cooker recipe too. I don’t have time to try to make this in a skillet. 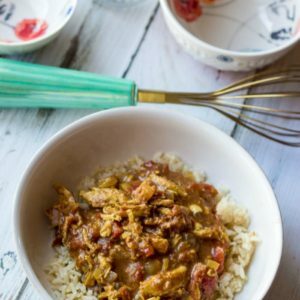 This looks delicious, and I love it even more for being a slow cooker recipe! Thank you Monica. I don’t think I could make this without the slow cooker, to be honest. 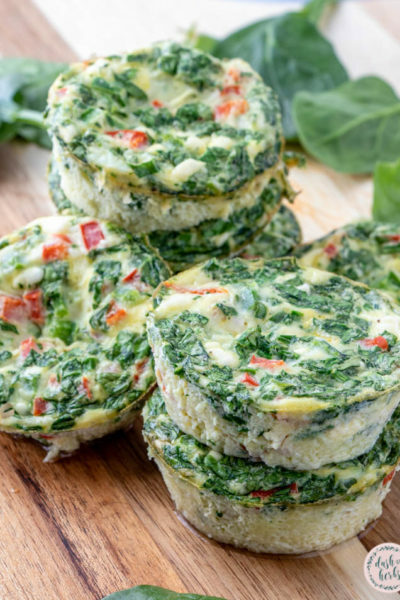 It’s a necessity and makes this dish so easy to make. 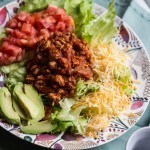 This is one of my favorite dishes, and I love that you’ve incorporated the usage of a slow cooker. Yummy! 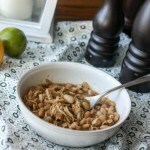 I love using my slow cooker too and it makes this recipe SO easy to make. I hope you try this one and love it too. It’s delicious. Yes! 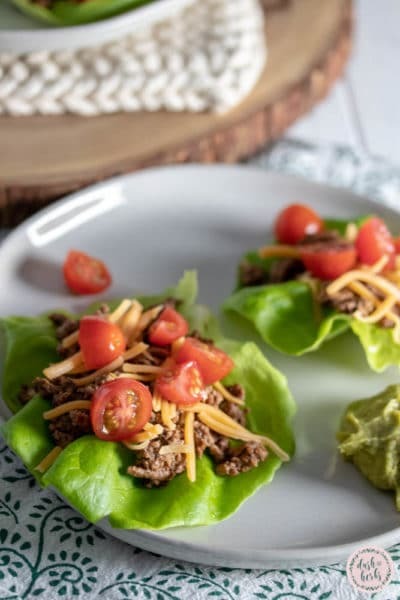 I loved how flavorful this recipe is and I love that the slow cooker does the hard work for you. It makes it seem like it takes no time at all. It tastes amazing too. YUM! 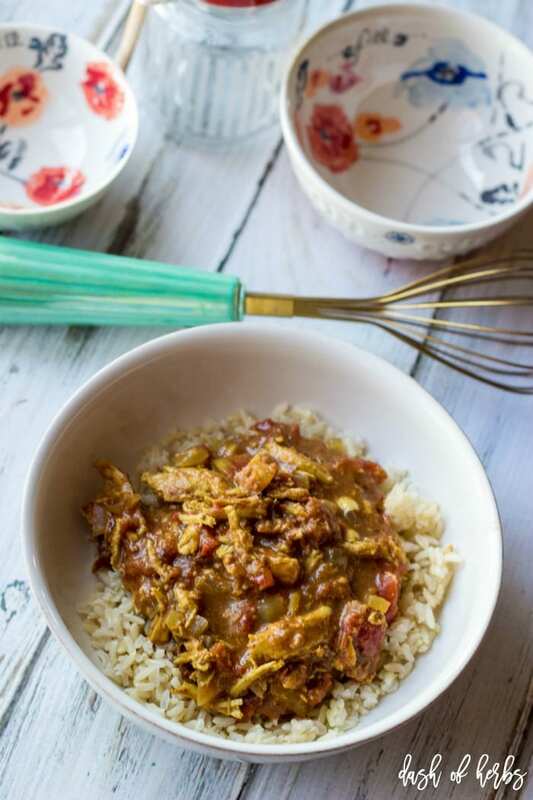 I love chicken tikka masala, but it take a long time to cook it from scratch! 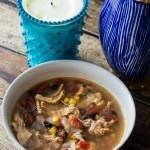 Love that you have made an awesome recipe super easy with a crock pot! Thank you! It is so delicious, and really spicy too. Since I know you love spice, just don’t add the coconut milk at the end, and you will have a delicious spicy treat. It’s so good! Oh wow, this looks SO good. I’m drooling. Thank you! I truly think that every spouse deserves some credit too. And I love slow cooker recipes. I want to make more for this blog, and this one was perfect…it was SO flavorful. 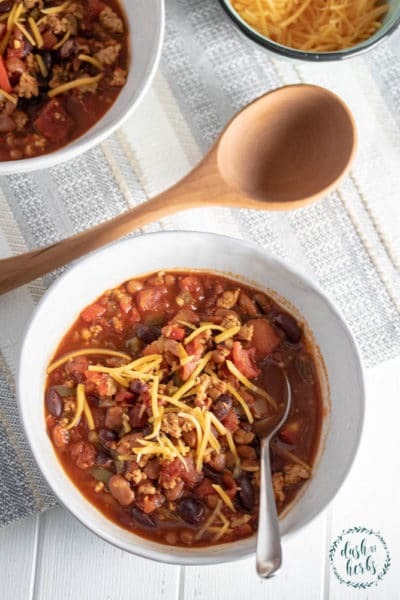 Slow cooker recipes are the best – especially during the winter! Oh no! But I totally get the aversions, so don’t worry. I do hope that you try it once your kiddo arrives. It’s so easy, and definitely worth it (especially when you have no time with your kiddo). This is definitely not something we would usually make and would totally out of our cooking comfort zone! 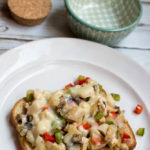 I love that it is a slow cooker recipe, and once this baby makes its’ appearance, I can’t wait to try it. Unfortunately, I’ve had a HUGE aversion to chicken this entire pregnancy. Thank you so much Missy. I had to get a bit sappy today, since yesterday was Valentine’s Day and spouses need to know that you appreciate them for their support. It’s important to me. The tikka masala is a bit spicy, but it was so good and flavorful. And anything in the slow cooker is a win for me. 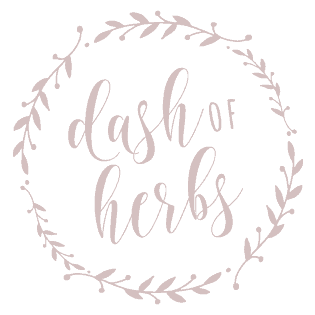 It’s great to have a supportive person behind the blog – especially because I need the reassurance that my recipes taste good. He’s great at that! This looks great, as usual! Go ahead and get sappy! I am single and I cannot wait until the day I have someone to be sappy like that about again! this is perfect for my snow day right now! Thanks for sharing. I love your letter to your husband too. It’s awesome that he’s supportive of you and this amazing blog.